Update: The videos have been pulled, at least temporarily. You can now view all of the A&M videos (except for "And Hiding Away") courtesy of Vimeo.com & MTV. Yes, it really has been 20 years since the 1989 self-titled debut album. Not only am I turning 40 this week, but now I'm feeling even more dated. In contrast, I've put together a compilation of tracks found on the debut album performed live over the A&M years (1990-1996) with one notable exception: there's no known live recording of "Mercy". In its place, I've included a performance of "Pride Takes A Fall" (non-album track). Whenever possible, I've tried to use their latter performances, as these were typically recorded to DAT, sound better, and are more simplified in their structure. This will hopefully lure the attention of the Innocence Mission's newer fans to that of their old music. I hope you enjoy the songs. 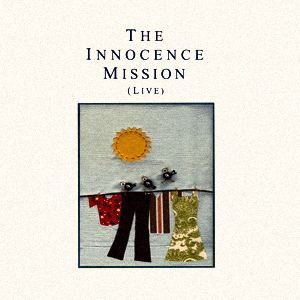 On May 19, 2009, A&M Records digitally re-released the Innocence Mission's self-titled debut album, which can be downloaded at commercial sites such as Amazon.com. The band's second full length album, Umbrella, remains out-of-print. Weathered will be playing at the Indianapolis International Film Festival‏ on Saturday, July 18th (1:30 pm) and again on Tuesday, July 21st (5:30 pm) at the IMA/DeBoest Lecture Hall. Between August 7-9, Weathered will be screened at the Feel Good Festival in Hollywood, CA. 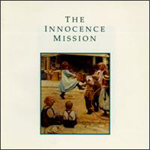 Until a DVD is made commercially available, seeing the film is the only way to hear the newly recorded version of "Our Harry" by The Innocence Mission. If you attend one of these events, please let us know your thoughts. For more information visit the links above. "SUN ON THE SQUARE" ON SALE NOW! Get the EP "The Snow on Pi Day" on sale now! Get the single "Trip" on sale now!